I’m going to be a little self-indulgent here because one of my ‘boys’ has a birthday today. Friends will know of my ‘boys’ – a small group of musicians that I so adore, and have adored for so long, that I’ve taken them on as part of me. But I’ll talk about these lovely lads as a group another time. Today is about one ‘boy’ in particular. No, it’s not Kenny Rogers. But it’s his birthday too, so do feel free to fire up The Gambler and raise a glass to country music’s best manicured beard at some point today! Sadly, this birthday boy is no longer here to celebrate it. As it would be his 60th birthday today – and this coming December being the 10th anniversary of his death – it’s a big occasion. 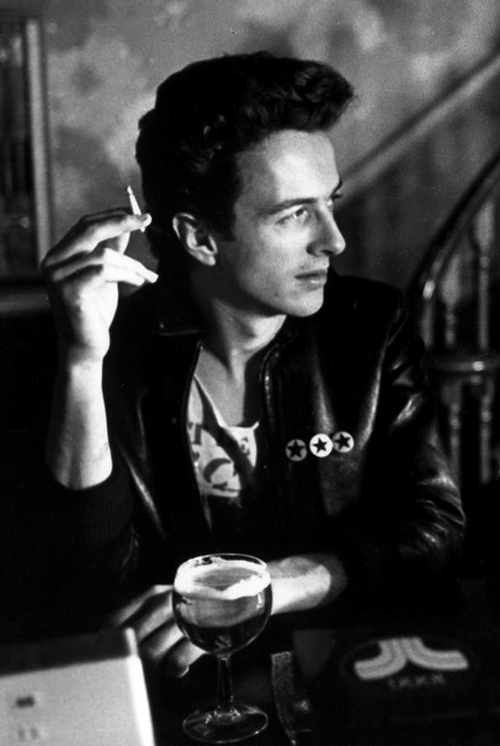 The ‘boy’ in question is Joe Strummer. There are many reasons I adore Strummer but, hand on heart, it’s an entirely realistic adoration. I know that no one is perfect and he certainly had his moments of being less than. Regardless, his passion for music, for words, for life and for humanity in action goes pretty close to summing up: ‘Why Strummer?’. Start with the 101ers and work forward. Or start with the Mescaleros and work backward. A trip in either direction is worth the fare. You may know of the Clash but not much else. Well, Joe Strummer’s London Calling radio broadcasts for the BBC World Service are available as a free download on iTunes. The format is simple enough – Strummer and his eclectic record collection. Here you’ll find out a little about what floated his musical boat. It’s heaven. Treat yourself. Or maybe just set aside a couple of hours this weekend and watch Julien Temple’s excellent Joe Strummer: The Future is Unwritten (again and again, in my case). There are any number of songs I could have shared, but I chose one of the last things he did. In part, because it’s also a shout out to another talented fellow lost to us – Bob Marley. I also get goosebumps every time I hear this. I love it more than the original, and I truly do love Bob Marley, but I admit I still could be a wee biased. Happy birthday to my favourite punk vegetarian rock ‘n’ roll hall-of-famer. Your words and music constantly remind me that, among other things, I’m part of a far bigger, far more important picture; that I must be honest and accountable in action; that I should not accept what is not good enough; that ignorance is not an excuse for any word or deed…and that art in all its forms is the most wondrous thing. Do you have your own ‘boys’ (or girls) that rocked your tiny minds and are still with you today? What have they taught you?